I had been waiting for the perfect time to wear this dress because it's just so gosh-darn pretty. 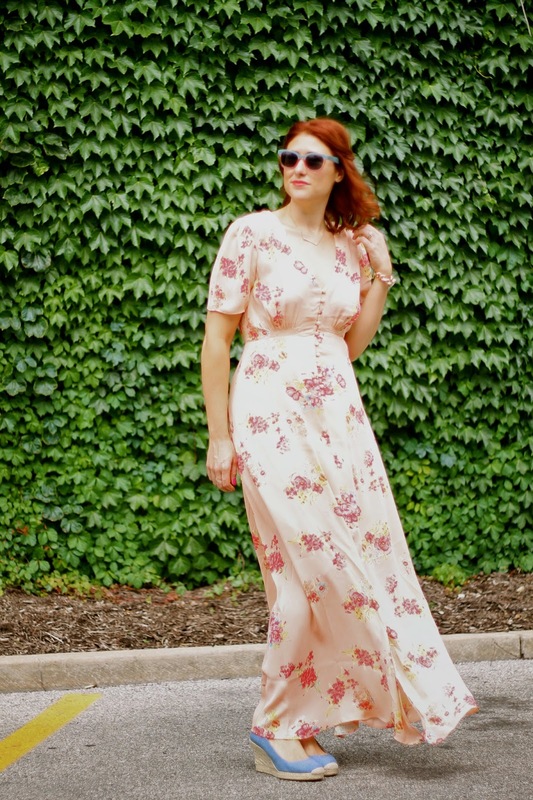 I wound up wearing it to a friend's bridal shower where I just knew a floral maxi (seriously considering buying this one too) would be appreciated and in its element around a bunch of lovely ladies. 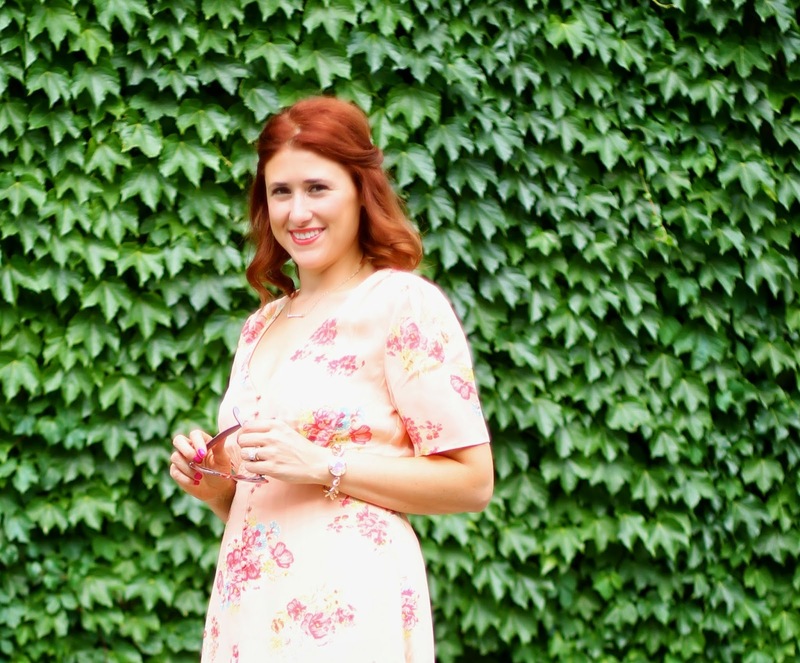 Much like last week's lace Ann Taylor skirt, this dress also got about a million compliments. It makes a statement when you walk into a room with its floaty fabric gliding behind you and also makes you feel super tall (then again, not feeling tall is a problem I don't ever really have). I added my J. Crew Seville Wedges which made me feel even taller. 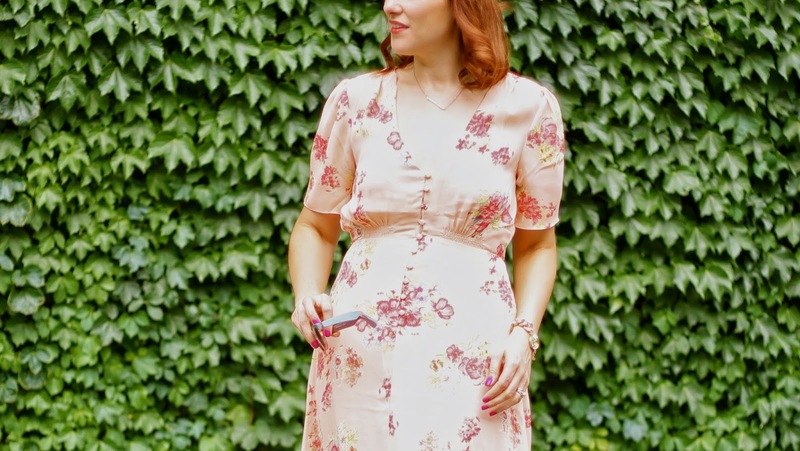 I highly recommend this dress (20% off till 7/8/14) if you have a girly event coming up. You will feel like a walking garden and also comfortable and covered up. So ladylike! Only thing to keep in mind is that the back is open so you will definitely need a bralette like mine with a back that is too pretty not to be seen. Btw, if you are loving my new two-tone sunglasses I picked up in Brooklyn, here is a super easy DIY to make your own with any old pair of sunglasses! So cool!